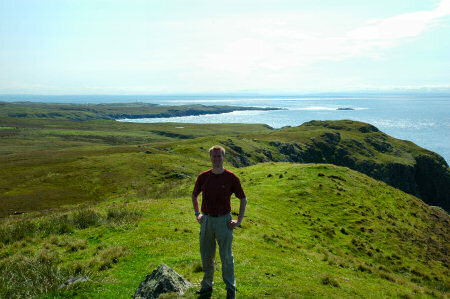 This is on the west coast of Islay, I think on Beinn Seasaimh, but I'm not entirely certain. I'll have to go through the pictures in more detail to determine where exactly this is. The bay in the background is Lossit Bay, although you can't see the beach from here. You can also see Orsay in the distance, if you look closely you can just make out the Rinns of Islay Lighthouse. Frenchman's Rocks towards the right.